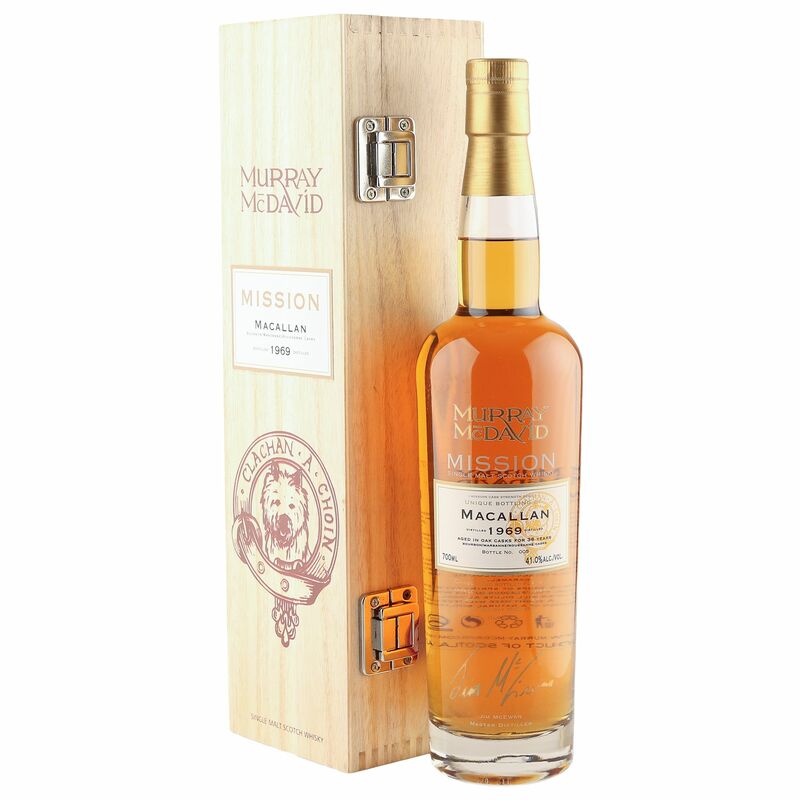 This extra special 36 year old Speyside single malt was laid down at the Macallan distillery in 1969 and bottled for Murray McDavid's Mission series in 2006. Matured originally in American oak Bourbon casks, before being finished in Marsanne and Roussanne French wine casks, this rare vintage Macallan is one of just 900 bottles bottled at a natural strength 41% ABV that comes complete with original wooden presentation case. There are a few minor scuff marks on the label and capsule, but generally in good condition - see image inset for detail.